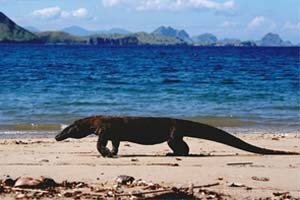 Pink Beach is one of the beaches on Komodo island, Nusa Tenggara Timur. 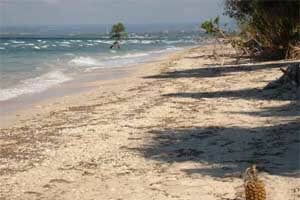 The beach is called Pink Beach because the beach really has amazingly pink sand. The pink color of the sand is a mixture of colors from white sand with coral fragments of very small marine invertebrates which have a red shell. 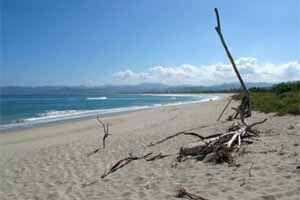 There are only are only 7 beaches like this in the world. 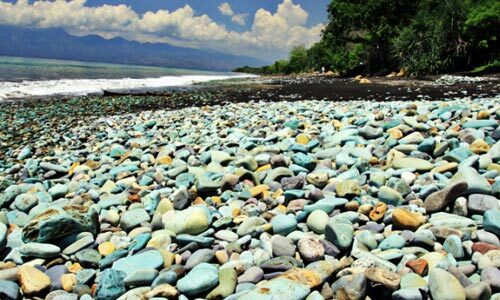 So Indonesia should be proud to have one of these unique pink beaches. In the Pink Beach there is a lot of marine life, including over 1000 species of fish, 260 species of coral and 70 species of spong. 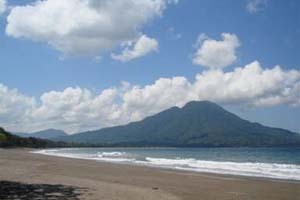 With so much to see this place is perfect for snorkeling and diving. The currents at this beach are strong though, at this point northern tropical sea water and meets colder water from the south. 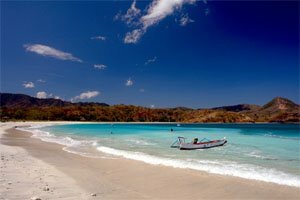 By sea: you can go to the Pink Beach by boat from Tanjung Benoa, Bali to Labuan Bajo. It is a long ride though, it takes over a day. 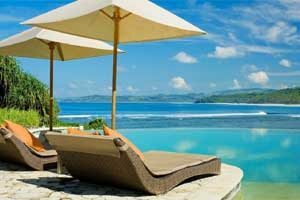 Land lines: You can also go overland by bus from Denpasar to Labuan Bajo which of course includes ferries for the boat to cross the different islands. By air: the fastest way to get to the Pink Beach is of course through the air. You can use the plane from Denpasar to Labuan Bajo which takes about 30 minutes. Upon arrival in Labuan Bajo you still have to use a ferry to Loh Liang on the Komodo Island. 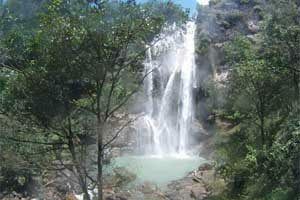 From Loh Liang it is only a 30 minutes walk boatride or a 4 hour walk. Scores on a ten-point scaled. Based on 11 ratings. 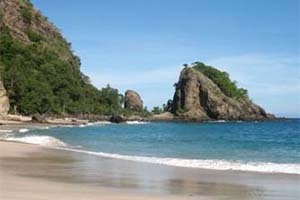 Need place to stay in Labuanbajo? 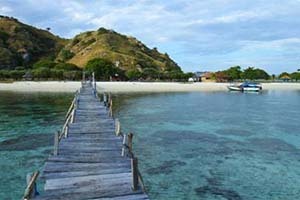 Look for more Cheap Flights to Labuanbajo.